Beirut is one of the oldest and yet liveliest cities in the world. Lebanon has seen more than its fair share of conflict-driven drama, diversity and one of the world’s widest spectrums of intellectual capital. These factors create a fertile seedbed on which to foster a rich crop. By comparison, the lack of diversity in many European regions seems slightly bland and stony ground. 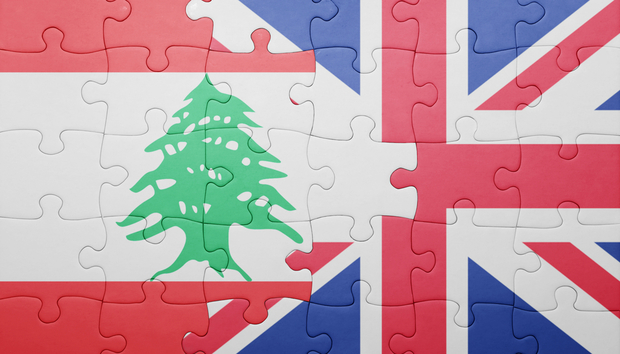 Now the Mayor of London and Lebanon’s central bank (Banquue du Liban) have embarked on a joint venture, investing £2 million in a UK-Lebanon Tech Hub. The rationale is to stimulate industry in the region and, presumably, cement partnerships with the London technology community. IDG Connect heard from seven of Lebanon’s fastest-growing tech start-ups as they embarked on their three-month accelerator programmes. All being well, these are names that will be propelled onto the world stage but, I asked, is there a danger of a brain drain as creatives follow the money? No, says Georges Choueiry, founder and CEO of Bid Affairs, an auction site which is a blend of gaming and gratification, where users bid to win luxury fashion items and expensive electronic goods. Beirut is becoming a world technology hub in its own right, Choueiry explains, and there is no desperate urge for creatives to move to London. “Beirut has some of the best universities in the world. Many graduates go out to get experience, then come home to apply what they’ve learned,” says Choueiry, who himself spent 10 years in the City of London consulting with the likes of Ernst & Young. Encouraged by the success of BidAffairs in domestic markets in the Middle East, Choueiry is launching this and two follow-up services (one a form of gamified e-commerce, the other a trivia quiz with lucrative prizes) on the UK market. Lebanon was historically known as the Switzerland of the Middle East and, as a consequence of its banking heritage and the production line of tech graduates from the American University of Beirut, the capital is a financial tech stronghold. There is synergy across fintech, banking and the media industries between London and Beirut, says Haramoun Hamieh, co-founder of Figurit, a “cognitive dashboard for content creators” startup that aims to help media companies get more value from their stories. Hamieh’s experience in banking and as a content manager for a news room on a daily newspaper convinced him there’s a need to refine the intelligence that businesses and news outlets are getting from the internet. Figurit aims to offer a sort of information refinery, filtering out disinformation and setting up only the most reliable sources of intelligence for companies. Beirut is a great development centre and London is probably the best gateway to global markets, according to Hamieh. “I’m interested in journalism and London has the most dynamic news outlets,” he says. Meanwhile, inventor Salma Jawhar’s Play My Way mobile app tackles a universal problem that affects parents around the globe: teenage screen addiction. With many young (and not so young) people unable to tear themselves away from their mobile phones, Jawhar and co-founder Dr Ahmad Hammoud have created a tool that interrupts phone users, stopping them from going further unless they answer an educational question. Having launched the beta version in March it gained 14,000 users in a month and won the iTunes Best Mobile App for Kids award in the same month. It’s free at the moment, so there’s no money coming in for investors just yet. “Grow now, monetize later, is the strategy,” says Jawhar. An app with global appeal will need considerable growth capital and London offers one of the best sources of investment potential (outside the US) and the Tech Hub’s offer of 12-week semesters via its Accelerator Academy could help build partnerships. “We can fast-track their business growth, providing access to clients, partners, talent and investors,” says Katie Lewis, Accelerator Academy programme director. The other four start-ups are at an earlier stage of development. Smarke and Outswitch are property management apps, while ChefXchange.com and Publiseek are both creative talent exchanges. Lebanon was ranked fourth out of the 62 countries included in the 2015 Global Entrepreneurship Monitor report which highlights the presence of "educated and skilled” labour and the role played by credit subsidy mechanisms in 2013, allowing banks to invest in technology start-ups. However, the report also notes potential constraints including the overrepresentation of family companies, the quality of infrastructure and bureaucracy. Only 11 per cent of Lebanese startup founders plan to recruit more than six people in five years and 42 per cent of them have no hiring plans. Will this be good for Lebanon? Who knows but London could well benefit.